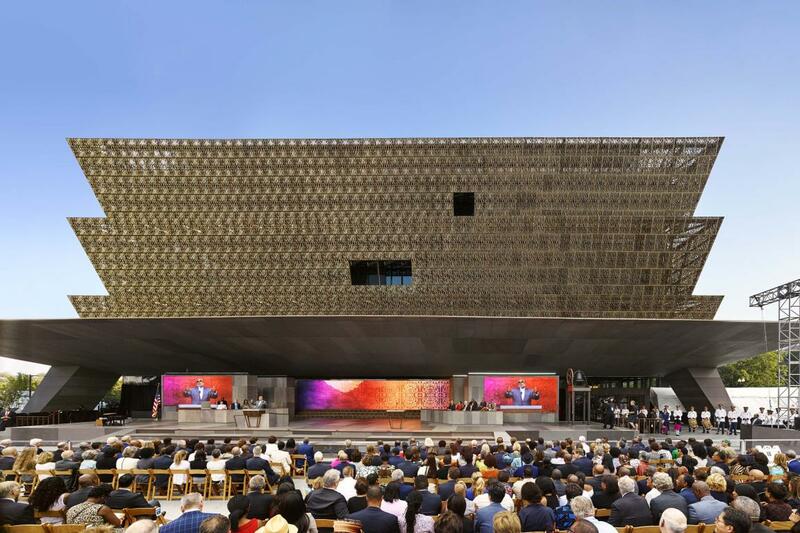 When President Barack Obama speaks at the dedication ceremony for the National Museum of African American History and Culture on September 24, 2016, it will mark a historic step forward in the way Americans view our shared history –– finally elevating the African American experience to its rightful place at the center of our nation's story. Seeing the African American experience presented in its entirety –– from the horrors of slavery and Jim Crow to the triumphs of the Civil Rights Movement and the election of our nation's first black president –– will be an eye-opening experience for many visitors. Our nation has always been uncomfortable confronting dark parts of its legacy. But people trust the Smithsonian Institution and consider it a safe space, so it will be easier for visitors to come to terms with this difficult history in the Museum's setting. By providing a tension between painful and inspiring moments, the Museum will help Americans of every age, race, and background see the African American experience in a new way –– and find common ground that will lead to better understanding, healing, and reconciliation. Mrs. Laura Bush and President George W. Bush enjoy the National Museum of African American History and Culture grand opening with Mrs. Michelle Obama and President Barack Obama. This transformative journey will begin before visitors even step inside the Museum. The exterior of the building sets the Museum apart from every other structure on the National Mall, with its beautiful landscaping beckoning visitors to enter, and its shimmering, architecturally dramatic corona reaching up to the heavens. The building’s interior is just as striking, dazzling the eye with features like the imposing Central Hall, the serene Contemplative Court and, of course, the state-of-the art interactive galleries showcasing the Museum's permanent collection and special exhibitions. The Museum's permanent collection of more than 36,000 historical and cultural artifacts is unmatched in the world and reflects the diversity of the African American story. The 4,000 objects from the collection that will be on view in the Museum's inaugural exhibitions include an entire slave cabin from a South Carolina plantation, child-size shackles and an entire segregated railroad car from the Jim Crow era. There are also unique objects from African American sports heroes, such as Muhammad Ali's robe, and amazing items from black entertainment stars, including James Brown's electric organ. And there are artifacts that celebrate groundbreaking triumphs, like posters from Barack Obama's history-making campaign for president. Bonner family rings Freedom Bell with President and Mrs. Obama. As the Museum's Founding Director, I am proud that we are fulfilling a more than century-old dream to build a living monument to people whose experiences and contributions have so often been left out of our national story. And I am proud that as a nation, we are delivering on a sacred promise to so many generations of African American ancestors –– that we will tell and honor their stories, and celebrate their remarkable perseverance that kept African American culture alive through hundreds of years of daunting challenges. It is both humbling and empowering to finally reach our goal of creating a national Museum that explores and celebrates the African American story that for so long has been neglected, forgotten, and even actively suppressed. And we could never have reached this day without the steadfast commitment and persistence of so many thousands of Americans who simply would not give up on the dream despite the many obstacles placed in our path. I am especially grateful for the Museum's more than 112,000 folks who have become Charter Members since the membership program was launched in September 2009, whose generosity and leadership have brought us to this historic moment. But while the September 24th Grand Opening will be an important milestone for the National Museum of African American History and Culture –– and for every American –– it will be just the beginning of our journey. Founding Director Lonnie Bunch addresses the crowd at the grand opening of the National Museum of African American History and Culture. When the Museum's doors open, our mission will enter a new phase, as we test new ideas and continue to explore the evolving dynamics of African American history and culture. And everyone who has helped to bring this extraordinary vision to fruition will have a continuing role in charting that course, to give every American a fuller understanding of our shared heritage and help to build a brighter future for our nation.